This week for me has been a week of Skull Thrones and Star Wars and Shakespeare, Oh My! 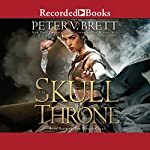 One of the big releases of last week was The Skull Throne, the fourth in Peter V Brett’s Demon Cycle fantasy series. I have read and enjoyed the three previous ones so I was keen to read the fourth. More accurately, I should say listened to as I experienced this book in audiobook format. In general, I did enjoy it, but I did have a few issues. The biggest challenge I had was the sheer amount of in world vocabulary Brett has invented for this series. I admit it’s been a while since I read any books in the series, but at first I found all the jiwah Ka, khaffit, Shar’Dama Ka, inevera rather disconcerting and it threw me out of the story on many occasions. I ended up having to keep the Krasian dictionary open on my computer while I was listening. Eventually I was able to move beyond this and enjoy the story. For me one of the highlights of the book were the beautifully written interpersonal relationships, notably that between Ahmann Jardir and Arlen Bales. These are two men of honour, with very different life views, both of whom want the same thing. The chapters in which they have to work to come to terms with their history and achieve some kind of detente were particularly enthralling to me. I also enjoyed reading about Rojer’s unconventional homelife and Leesha’s baby daddy drama. Personally, I was not particularly engaged by the chapters relating to the Krasian political drama. I did not find Jayan a particularly threatening villain. Also, I was completely hooked by Arlen and Jardir’s storyline, which I imagine will form the backbone of The Core, the final book in the series. I found myself wishing I were reading about them rather than the Krasian internal politicking. Narration for The Skull Throne was performed by Pete Bradbury. I would say the narration was competent rather than outstanding. All in all though I did enjoy The Skull Throne and would give it four stars out of five. More thought, it whetted my appetite for the series finale. For those of you who are unaware, last week saw the release of all six Star Wars movies in digital download format. I already have the original trilogy on Blu Ray, but I did pick up the prequel trilogy. I am seriously excited for The Force Awakens, which I hope will take after the originals and not the prequels. 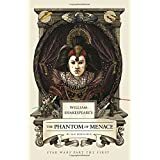 In keeping with the Star Wars theme, Ian Doescher has published his Shakespearean take on the first of the prequels, The Phantom of Menace. I’ve not yet read it, but I’m hearing good things about it, particularly in Doescher’s handling of the prequels’ most controversial character Jar Jar Binks. I was extremely disappointed though that as of yet there is no sign of an accompanying full cast audiobook production. I really hope that there will be. These productions were a real highlight for me of the first set of Shakespearean Star Wars books. 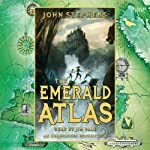 This week also saw the release in the final book of John Stephens’ middle grade series The Books of Beginning – The Black Reckoning. I wanted to catch up before reading it, and I saw that my library had the audiobooks of the first two. These are narrated by Jim Dale. Now, normally I am not a big fan of Dale’s narration. It’s kind of hit and miss for me. I didn’t enjoy his Harry Potter narration but did enjoy the Night Circus. I did really enjoy his narration for these books though and have added the Black Reckoning to my audiobook collection. Well, that’s all for today. Have a good week everyone!